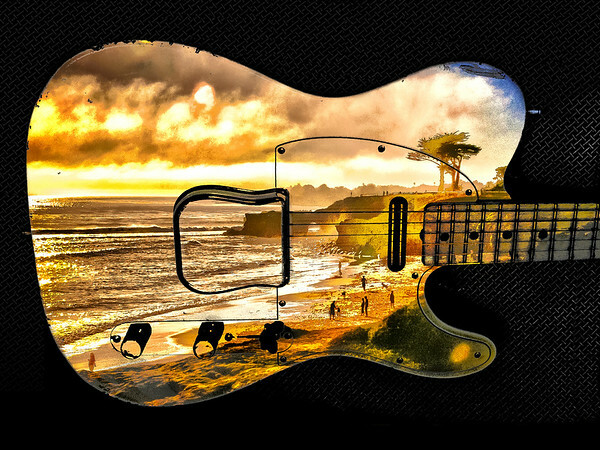 Fender Telecaster and "Dog Beach" near West Cliff in Santa Cruz. Sized for 18x24 ratio. Can be even larger. I have printed 20x30 versions of this composite.